The Pac-12 microsite will preview each of its league teams over the next few weeks, continuing today with California. Strengths: Year 1 of the Cuonzo Martin era will feature some quality leftovers from Mike Montgomery’s tenure. Senior forward David Kravish is coming off his best season, while sophomore guard Jordan Mathews headlines a mostly young backcourt. In all, four of the team’s top six scorers from last season are back. Cal, picked to finish seventh in the Pac-12 media poll, has the look of a team that could get stronger going into the new year. Weaknesses: The direction of the offense, however, will be worth keeping an eye on. Cal no longer has first-team all-Pac-12 point guard Justin Cobbs to lean on. Looking to fill that void will be junior Tyrone Wallace, who matched Mathews with a game-high 21 points in a 94-50 exhibition win over Cal State East Bay on Halloween. Three different players, including Wallace, had three assists. Martin will also have to find some depth as he figures out his rotation, particularly in the paint where the Bears have questions on the glass seeking to replace Richard Solomon’s 10.2 rebounds per game. 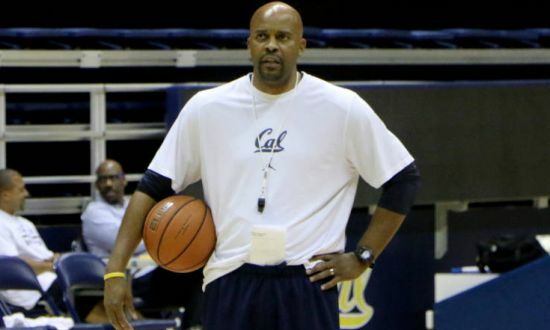 Non-conference tests: Cal will open the season in the 2K Classic. When the site shifts to New York City for the semifinal round on November 20, #23 Syracuse will be waiting. The winner will move on to meet either Iowa or #10 Texas the next night. The losers will meet in the consolation game. Iowa was ranked #25 in the USA Today/Coaches’ poll and picked up some votes in the Associated Press rankings as well. Wisconsin, ranked in the top five in both preseason polls, will visit Berkeley on December 22. The Badgers have another Final Four-quality group in Madison. Toughest conference stretch: The month of February will feature a nasty three weeks. From February 7-21, the Bears will see a good chunk of the projected top half of the league. After hosting UCLA, Cal will hit the road for the dreaded Rocky Mountain trip to Colorado and Utah. The return to the Bay Area will present a visit to Stanford. If everything goes right… That means sophomore Jabari Bird will have a bounce-back season. The smooth shooting guard was a four-star prospect coming out of Oakland, rated among the top 50 in the country, but he struggled to find his touch as a freshman. In 31 games, including 12 starts, Bird averaged 8.3 points per game and shot just 32.3 percent from 3-point range. That “look of a team that could get stronger” label above is in large part due to Bird’s potential. If nothing goes right… The Pac-12 is anybody’s guess in the middle of the conference. Cal is front and center in that middle, with a team that could go in either direction. It will be easy to slip if Bird struggles and consistent help for Kravish inside becomes an issue. The first year with a new coach is never an easy transition either, and that could become a factor that just piles on. This was the lineup Martin used in the exhibition opener. While there isn’t a true distributor in the backcourt, there are floor-spacers in the three-guard look. There will be plenty on Kravish’s shoulders to give Cal balance. Among the two big men, the athleticism is there to play Martin’s style. Martin may not be able to pull too many of his starters at once, as there is a significant dropoff in scoring threats and size when he reaches his bench. Singer began the offseason as an option to start at point guard and will give the Bears a more traditional floor general. Okoroh, who is from England but played at Westwind Prep in Phoenix, originally committed to play for Martin at Tennessee. Although raw offensively, Okoroh has the ability to make an immediate impact as a rebounder and shot-blocker, and his progress as the season moves into 2015 will be worth tracking. He pulled down nine rebounds and blocked five shots in the exhibition. While sophomore center Kameron Rooks wasn’t much more of a threat inside, his absence (torn ACL, likely out for the season) gives Cal one less experienced big man and makes Okoroh that much more important to the success of this year’s team. Tracy McDannald spent the last three years covering the Arizona Wildcats. Baseball ends when college basketball is getting ready to begin, and vice versa. Coincidence? Nope, just perfect. This entry was posted on Tuesday, November 4th, 2014 at 6:01 pm by Tracy McDannald	and is filed under microsites, pac 12. Tagged: california, Christian Behrens, cuonzo martin, david kravish, Dwight Tarwater, Jabari Bird, Jordan Matthews, Kingsley Okoroh, Roger Moute a Bidias, sam singer, tyrone wallace. You can follow any responses to this entry through the RSS 2.0 feed. You can leave a response, or trackback from your own site.